Foodies across Philadelphia celebrated on April 3 as chef and restaurateur Kevin Sbraga got back into the kitchen. For one day only, Sbraga cooked his hot chicken, a popular dish at The Fat Ham, his Southern restaurant concept with locations in University City and King of Prussia that closed in 2017. 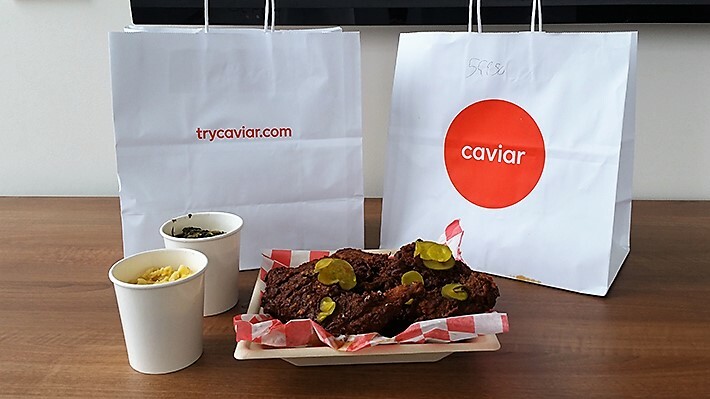 The food, offered through a special pop-up event by food-delivery service Caviar, tasted great, but the inspiration for the pop-up came from the classroom instead of the kitchen. Sbraga is enrolled in the Drexel Executive MBA (EMBA) program at LeBow, and the idea for the pop-up came during Business Problem Solving, taught by associate clinical professor of management Suresh Chandran. As Chandran and the class discussed methods of differentiation and of making shopping into an experience, he noticed Sbraga turning to one of his classmates and having an animated, off-and-on conversation. Orders for the hot chicken, Sbraga’s version of a dish originating in Nashville before becoming a nationwide food craze, started coming in at 11 a.m. on Tuesday, along with side dishes of collard greens, macaroni and cheese and sweet potatoes with marshmallows and pecans. Deliveries were made across Philadelphia throughout the afternoon. Sbraga has found his studies in the EMBA program very inspiring – not only during Chandran’s class in early February. “It challenges me, makes me think and makes me better,” he says.